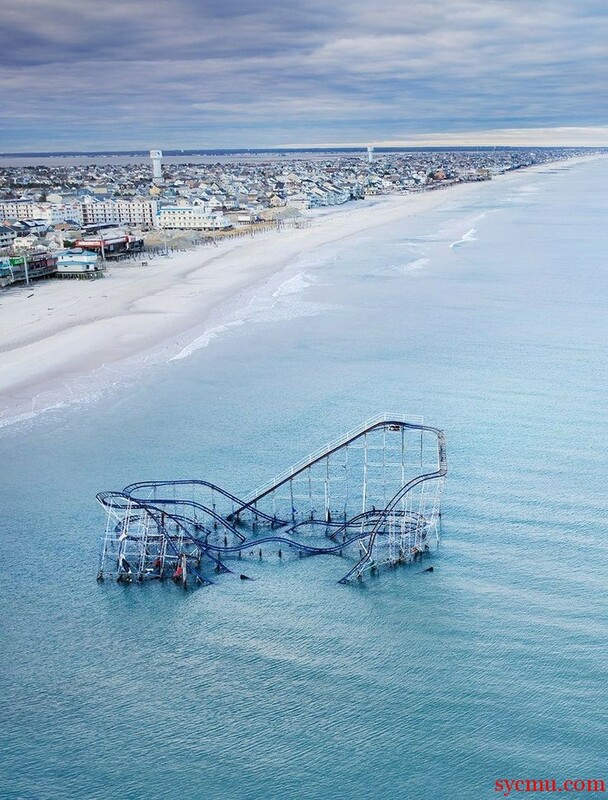 This photograph was taken after Hurricane Sandy sunk acres of land. The roller-coaster looks more like a water park slide. Horrifying!